Rupert Murdoch is asking $72 million for the triplex he owns and purchased as raw space. It is currently under construction and it appears Mr. Murdoch is keeping the 57th floor which is an interesting move since he is selling the triplex (58th-60thfloors)which is about 6850 sqft and the 55th and 56th floor are for sale as well as raw space. That opens the door for someone to purchase 6 floors of raw space for $109mm plus the amount Mr. Murdoch would want for the 57th floor. This would total about 17k sqft more or less and probably could be had for about $140mm total. Mr. Murdoch purchased the 4 floors in February of 2014 for 57.25mm. 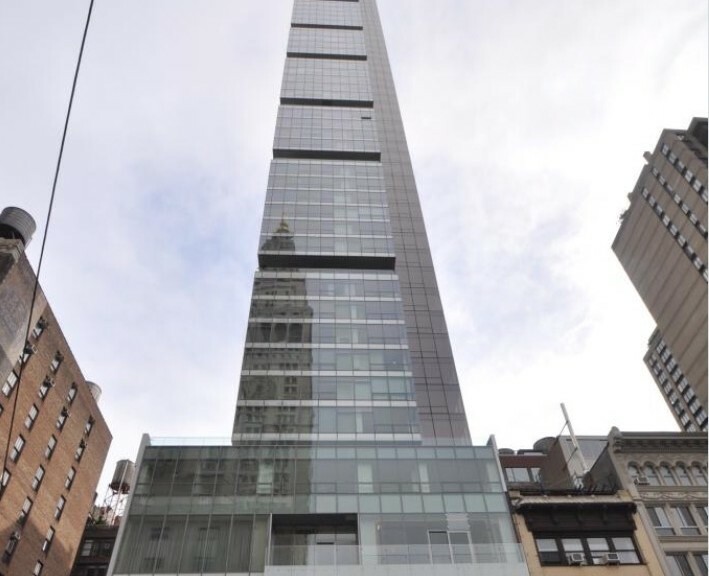 One Madison which is located at 23 east 22 street included among it’s initial purchasers Giselle Bundchen and her somewhat famous husband the Super Bowl MVP Tom Brady of the New England Patriots. In an interview published in the NYT magazine at the time of the Super Bowl, which Mr. Brady gave at his Flatiron area home , the reporter asked for the address. Mr. Brady was that he didn’t know the address but that it’s the only very tall building in the immediate neighborhood. Read the WSJ article about Mr. Murdoch here.